In 1755, Lisbon was struck by an earthquake. Marquis of Pombal, was the prime minister at that time and was instituted by decree 1st Count of Oeiras like reward by its action in the trial of reconstruction of Lisbon, the grid design ideia and oversawing　the rapid recovery of the whole city leading to the new city as it is now. Two and a half century later, Isaltino Morais, who has been the Mayor of Oeiras for more than two decades, is continuing to develop both the design and art of the city under less catastrophic circunstances but with a vision and determination equivelent to his predecessor. After a major renovation in the 18th Century, the building was given this name by its owner at the time, Rebelo de Andrade, as this Palace was located in a estate named “Quinta da Nossa Senhora do Egipto” (Holy Mary of Egipt). 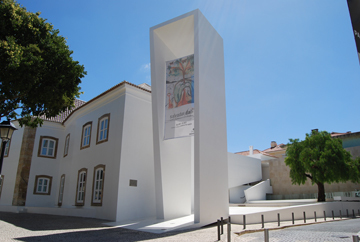 At the entrance, visitors are welcomed by an “Azulejo”, a form of traditional Portuguese tin-glazed, ceramic tilework. The architectural structure was modeled after a wedding veil by Vaz do Carmo, a notable Portuguese architects. This romantic and remarkable image also receives the benefit of sunshine and the sound of the neighboring church’s bell’s ringing. The white wedding design surrounds visitors in a pleasant aura with a celebratory atmosphere. In addition, there is a mysterious sculpture on the outside wall which was discovered during the construction of the palace. The artist remains unknown. 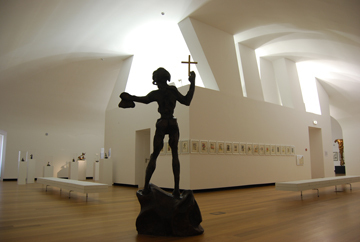 The artist displayed at the opening of this museum is one of the most famous Spanish artists, Salvador Dali. 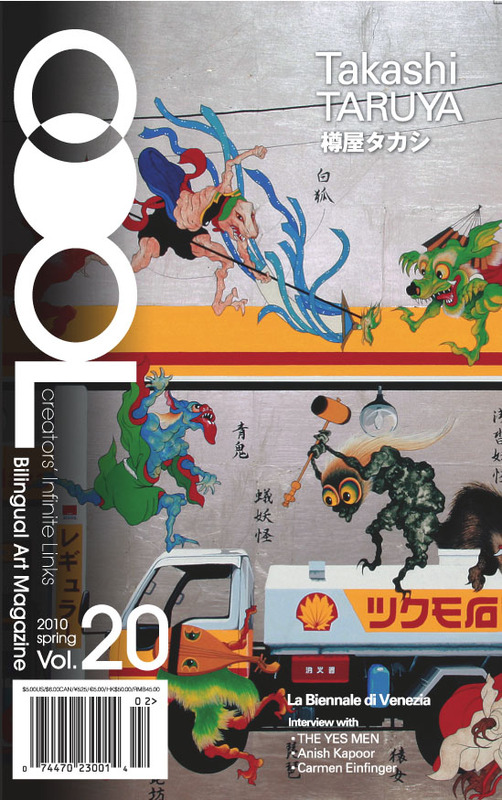 There are 100 works, divided into 6 series, all from the private collection from Barcelona of Juan Javiel Bofill, a Spanish art collector and close friend of Dali. Adding to the charm of the exhibit is that visitors can touch the original sculptures. Dali felt that if people could touch the art, they could feel more close to it. 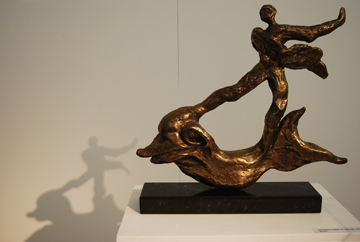 The main sculpture, Medo (“Fear”), expresses fear possibly inspired on Dali`s fear of death. You are invited to feel his fear of death through touching his works and not just by seeing them. One of the most remarkable sculptures is‘Dragon-Cisne-Elefante’(1969 Bronze). When seen from the front, it looks like a swan. However, it changes to two other animals as the point of view changes. It looks like an elephant viewed upside down, and a dragon from the rear. One sculpture can have 3 different faces depending on the point of view with Dali’s unique vision. If you love Dali’s well known work of paintings you will be enraptured with a 3D approach of his realities. The art exhibition will be changed about every 3 months. The collection of Dali will last until the 15th of September, 2009. On the last Friday of every month, visitors can enjoy a night at the museum, as it is opened until midnight. In addition to a free guided tour, it has various planned events, and 3 cafes where you can enjoy the original sweets of the city. 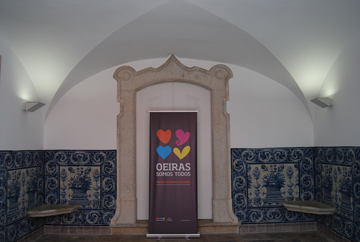 In 2009, Oeiras is the best city to enjoy the sea, sunshine, and art.